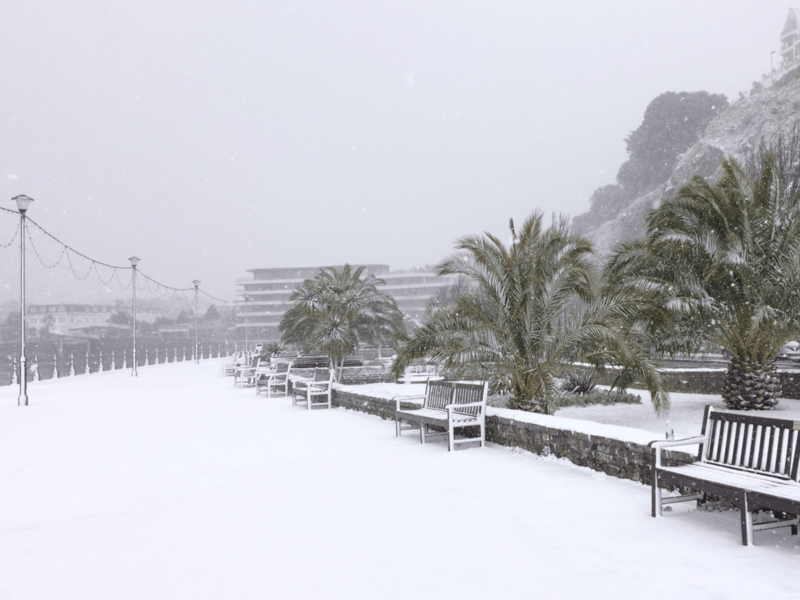 It has been ten years since Torquay in South Devon, England saw snow… but right now they are being covered in the stuff! With more blizzards forecast… and a huge thank you to my dear friend Marcus Throup who took these photos for me. This entry was posted in Uncategorized and tagged english, luxurious, nomad, riviera, snow. Bookmark the permalink.